I have inadvertently broken the solder joints on a few of these batteries just from using them on a couple of small projects. It was time for that to stop. A quick video of what I do to prevent the solder joints from breaking, and how to make the connectors be less aggressive in their plug. 20 seconds out of your day to reduce the wear of the batteries. All these LiPos are from SparkFun. 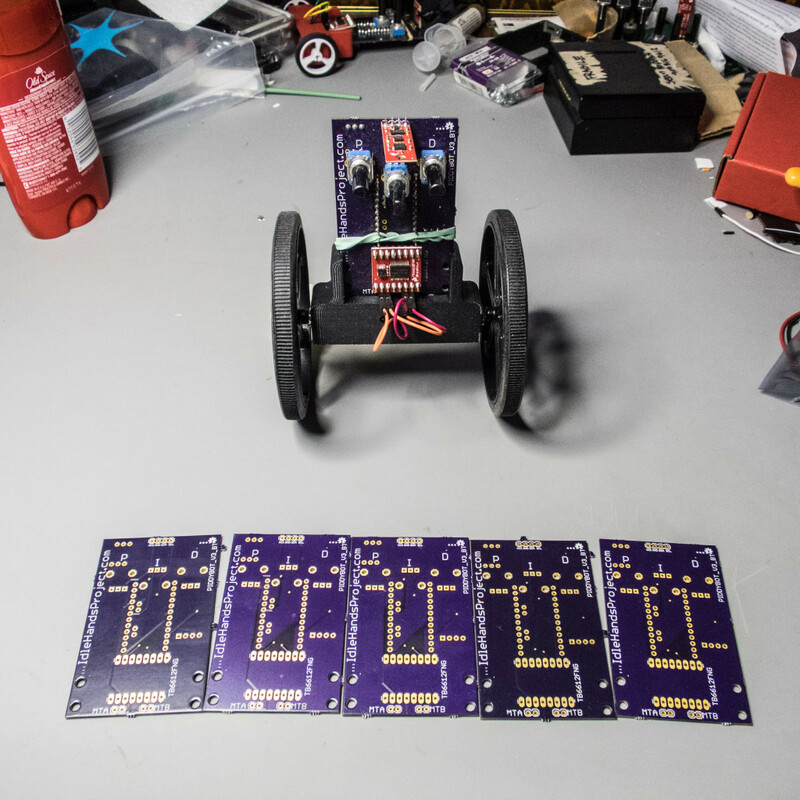 This entry was posted in Electronics, Fix, Hack, Robotics, Sparkfun, Uncategorized and tagged Arduino, electronics, Hack, quick, robotics on January 23, 2014 by Sean Hodgins. 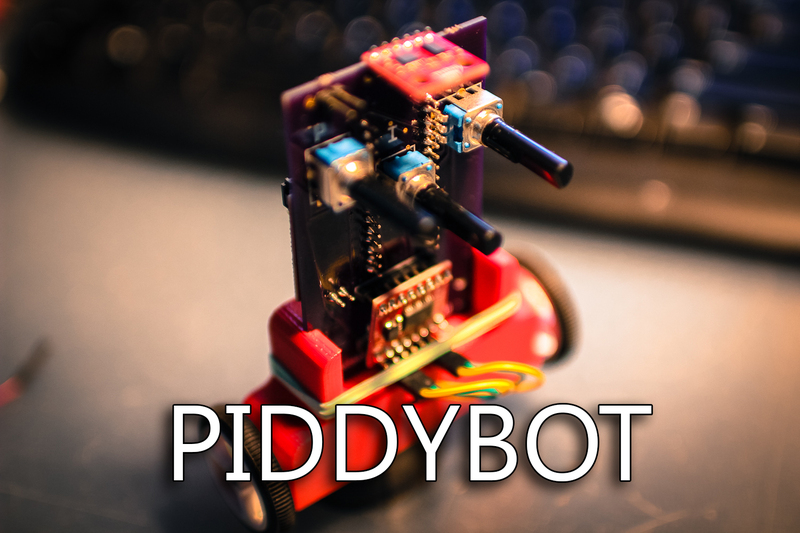 PIDDYBOT – A Self Balancing Teaching Tool. After I built the tiny balancing robot using an IR sensor for stabilization, there was a comment on the youtube video about how it would be a good thing for kids to build and learn about PID controls. I thought that was a great idea, the only problem was that that tiny robot was the simplest of balancing robots. It was just an on off switch for telling the motor which way to move. There was no actual PID implementation in that system. So that got me thinking about how it would have been really cool if in one of my classes where I was learning about control theory I had a robot that actually let you see the changes in a PID system in real time. I decided to take it upon myself to create such a robot. This entry was posted in 3D Printing, Arduino, CAD, Electronics, Projects, Robotics, Sparkfun, Uncategorized and tagged 3dprinting, Arduino, balancing, electronics, robot, robotics, self, sparkfun on January 16, 2014 by Sean Hodgins. 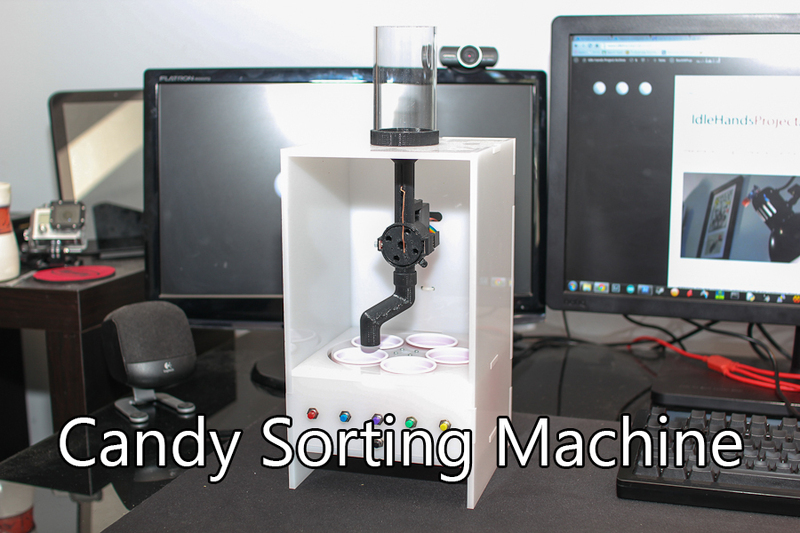 I built this quick rig last year using a pre-made camera slider, some plastic I had laying around, and some electronic components. 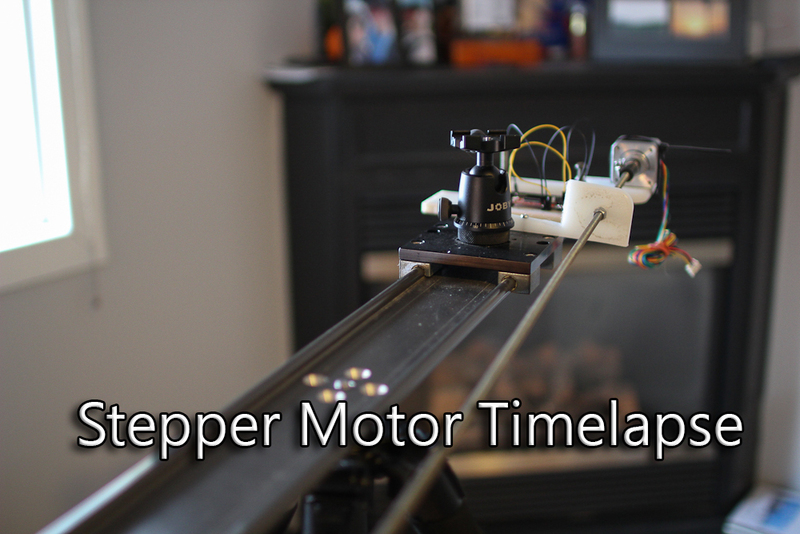 I wanted something simple where I could just put in the amount of time delay and set the camera for the same delay so that it would take a picture when the stepper wasn’t moving; simple yet effective. Read on to check out the movie I made last year using it. 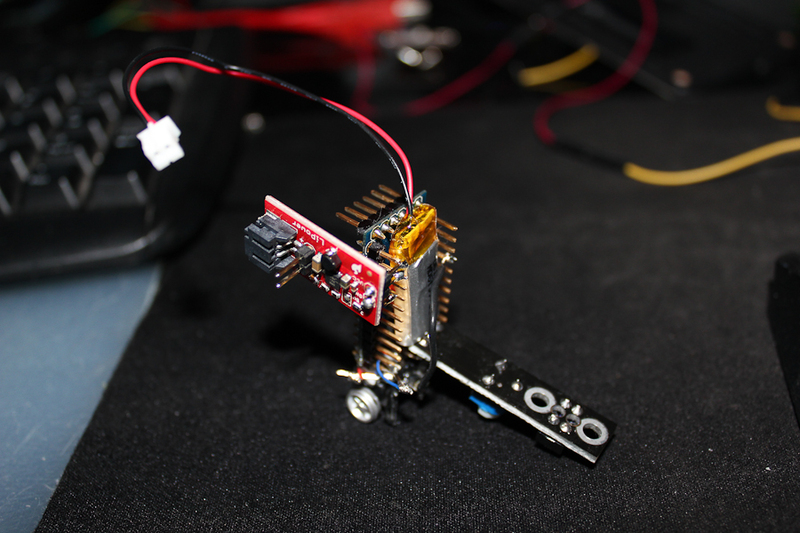 This entry was posted in Aluminum, Arduino, Electronics, Robotics, Sparkfun, Stepper and tagged Arduino, christmas, driver, electronics, project, quick, sparkfun, stepper, Timelapse on January 1, 2014 by Sean Hodgins. I have been meaning to make a self balancing robot for awhile so the other day I decided to see what I could do with some stuff I had laying around. I also had not seen overly small ones made so far so the real goal was to make it as small as possible. Basically I ended up with a Arduino Mini Pro with some components literally soldered to it. I found the wheels and motor from one of those small IR vehicles, cut it in half, and soldered the old battery mount to the lower part of the arduino. For the balancing part I need to note that I did not have a gyro/accelerometer on hand which is why I decided to use the IR switch. 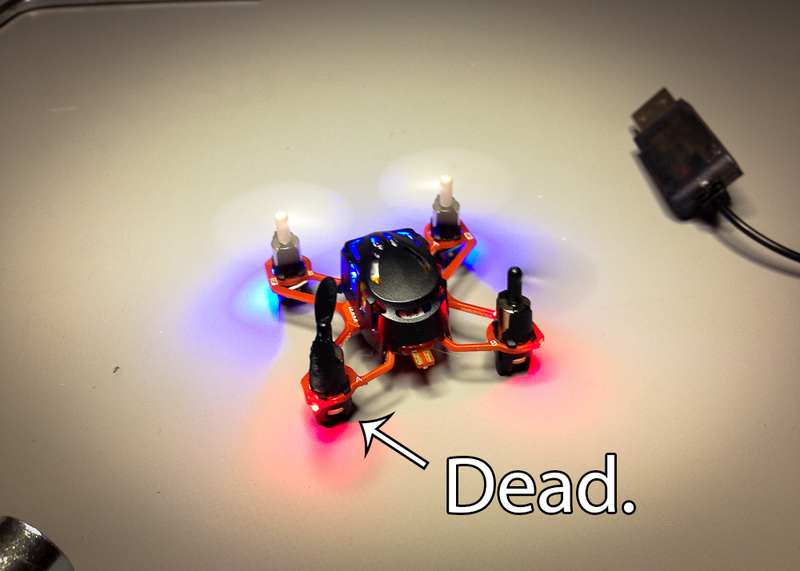 I just placed an order at SparkFun for a Gyro, so it should be here in a week or two for me to update this little bot and really make it perform. This entry was posted in Arduino, Projects, Robotics, Uncategorized and tagged Arduino, electronics, fun, quick, robotics on September 23, 2013 by Sean Hodgins.